ROCK Referrals! 10X Your Network Marketing RESULTS! You will get a FREE PROSPECTING GUIDE with tons of ideas and language! PLUS a 2 hour MASTER CLASS ON RECRUITING! Learn from Sarah LIVE in a Master Class on RECRUITING–you’ll learn exactly how she personally recruited 300 people into her company–which led them to build a 300,000 person team and do over a BILLION dollars in sales last year! And how to get people OUT of your funnel and INTO your business, and RECRUIT LIKE A ROCK STAR! Conquer the Close! How To CRUSH Your Month End Business in Network Marketing! And how to replicate these strategies with your team to create a SUPERSTAR SALES ORGANIZATION!!! 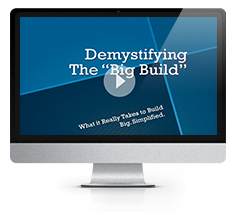 We will teach you HOW we built a BILLION DOLLAR SALES TEAM! BONUS TRAINING: We will also share expert strategy on how to convert your customers to become some of your BEST business partners in your business! “Phone A Friend”–how to leverage your contacts to build your network marketing business! Learn how to present your business POWERFULLY! Join Sarah Robbins as she teaches you how to present your network marketing product and business POWERFULLY through live events, virtual events, calls, coffees, presentations, casual meetings, and so much more! Scoop it up at the introductory price, now! GET IT ON THE BOOKS! Network Marketing Event Tips! The Chicken List Challenge For Network Marketing Rock Stars! Has your business run dry?